Erica Spurlock | Jones, Skelton & Hochuli, P.L.C. 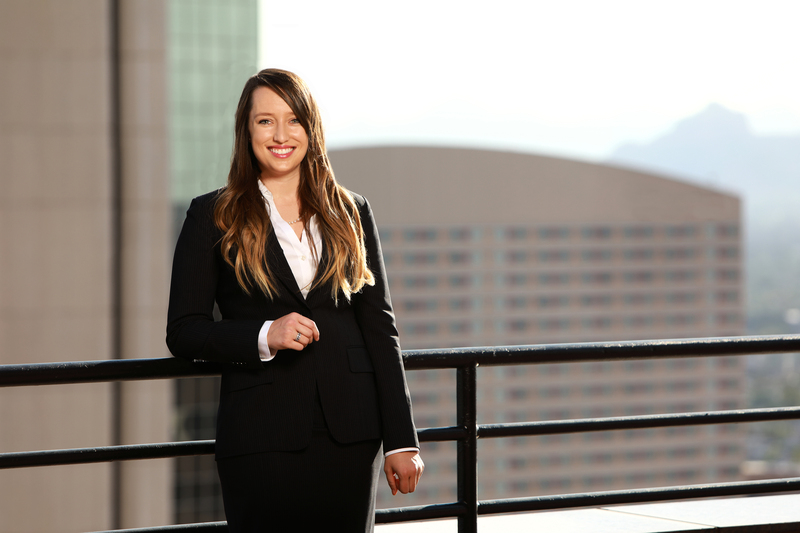 Erica Spurlock focuses her practice in the areas of automobile and commercial trucking defense, employment defense, and other personal injury, wrongful death and general liability defense. During law school, Erica participated in the Housing, Employment, Family and Disability Civil Litigation Clinic as a licensed student-attorney. She also worked as a law clerk for the criminal division of the Attorney General’s Office and at The Law Offices of Diane Miller. She was also a summer law clerk for Jones, Skelton & Hochuli. Outside of the office, Erica enjoys cheering for the Green Bay Packers, spending time with her bulldog, Meatball, and expanding her culinary abilities. Erica also coaches club and recreational middle school girls’ basketball teams and aims to be a better-dressed Pat Summit. She speaks conversational French and was a member of her college’s Alpine Ski Team, racing slalom and giant slalom.